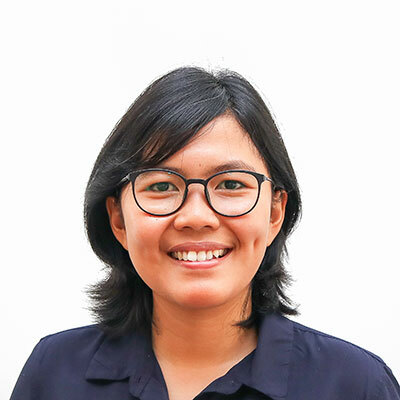 Icha brings her extensive expertise in training and community development to find practical and viable solutions for last mile communities with the Solutions Lab team. Icha began her journey at Kopernik by assisting young women and men in Lembata to build their entrepreneurship skills as part of Youth Change Agent program, while supporting the Wonder Woman program in Flores and Lembata. She left Jakarta to join Kopernik and pursue her dream to serve in improving the quality of life of communities in remote areas. With a social science degree and her experience with the Wonder Woman program, she now joins the Solutions Lab team, bringing her expertise in training and community development to find practical and viable solutions for last mile communities. She is a die-hard Gooner who loves to read books, plays ping-pong and takes jabs at a punching bag.